The month of celebration is here -You have celebrated the new year and 2017 is finally here ! The party isn't stopping there, Espreciello Allure have decided to do a give away to give back to our amazing followers ! 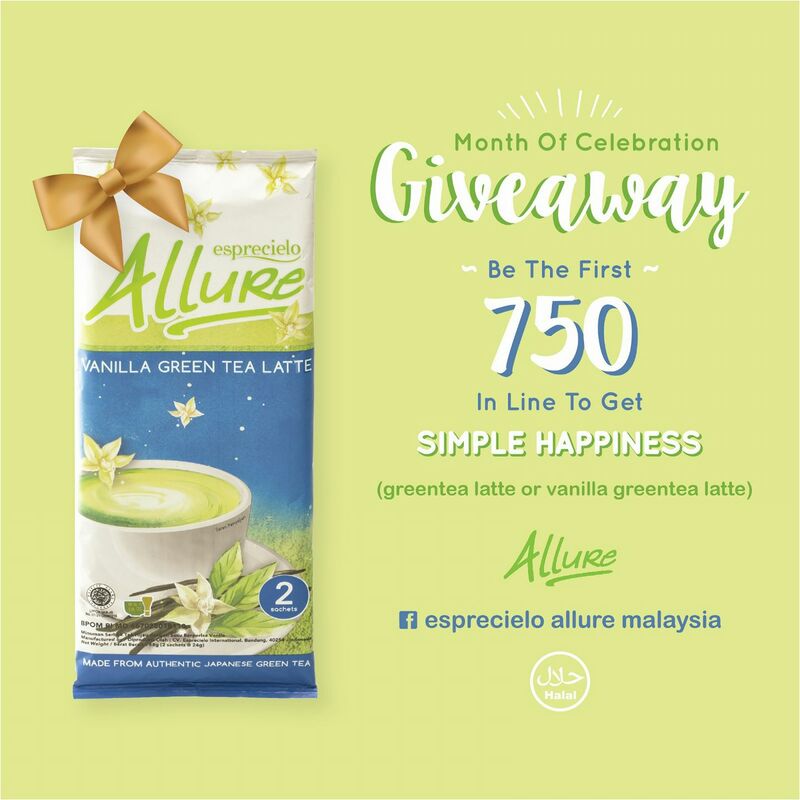 We've got a thousand packs of #SimpleHappiness to be given away for FREE! Make sure your Facebook account is not private. Be the first lucky 750 to post on Facebook, to get Esprecielo Allure Green Tea Latte posted to your door! Selected winners will be notified.